“Hey, guys! Here’s a piece I did for the Link’s Blacklist art collaboration over Game-Art-HQ. I had to draw a villain from the Legend of Zelda series, and thought I’d go back to the first Zelda title I ever owned, The Legend of Zelda:A Link to the Past, and draw Agahnim. Luis “Spidersayan” Neto from Canada is 28 years old and was invited by me to join our project after I saw his very nice take on the Skull Kid from Majora’s Mask. Its his first contribution to a GA-HQ Art Collaboration and I look forward to see more stuff from him! Dragonariaes drew Agahnim with elements from both his official artwork and his in-game sprite, for some reason they looked relative different with Agahnim wearing red in the official art and green clothes in the game itself. 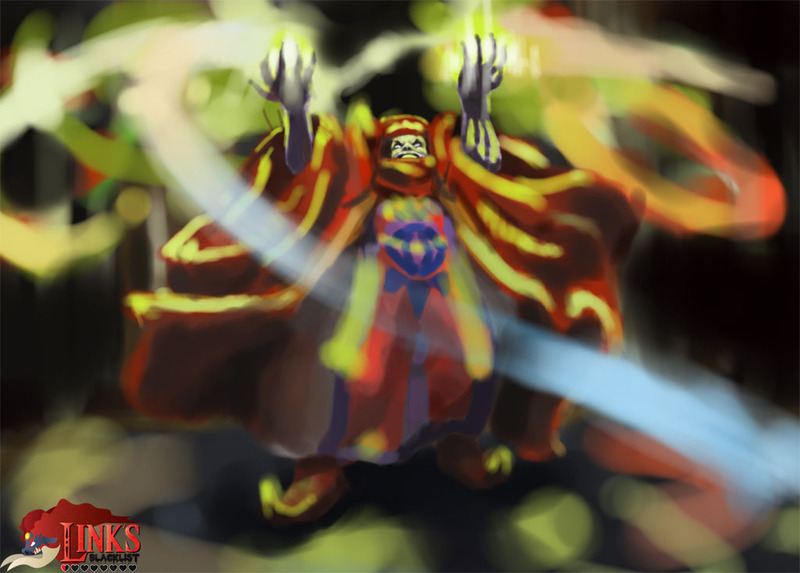 We thought it can not hurt to have Agahnim featured in Link’s Blacklist in both colors. 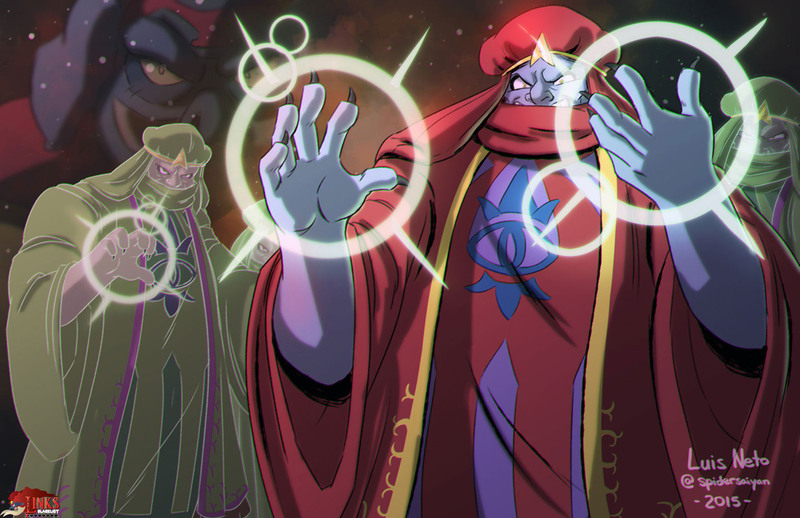 In the game, Agahnim can actually summon 2 clones of himself, this is what Dragonariaes illustrated here. The second Agahnim artwork is based on his official illustration which you can see below too. This is one of the drawings which were not directly drawn for our project but and instead chosen to be part of it after asking the artist behind it, Aranthulas. 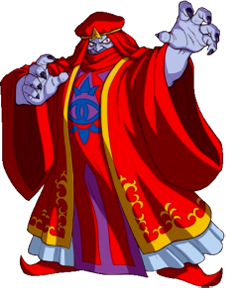 Agahnim is one of the main antagonists from Zelda: A Link to the Past and an evil sorcerer who abducts Princess Zelda along with the 6 other descendants of the 7 sages. He also brainwashed the complete army of Hyrule, kills the King, and frees Ganon through breaking the seven seals. 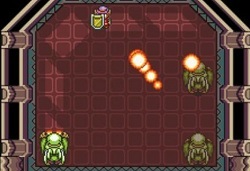 Link has to battle him multiple times in Zelda ALTTP and also one more time in Link`s Awakening where Agahnim returns as one of the shadow nightmares forms.